Features multi-host functionality so you can easily connect and switch between two Bluetooth devices. 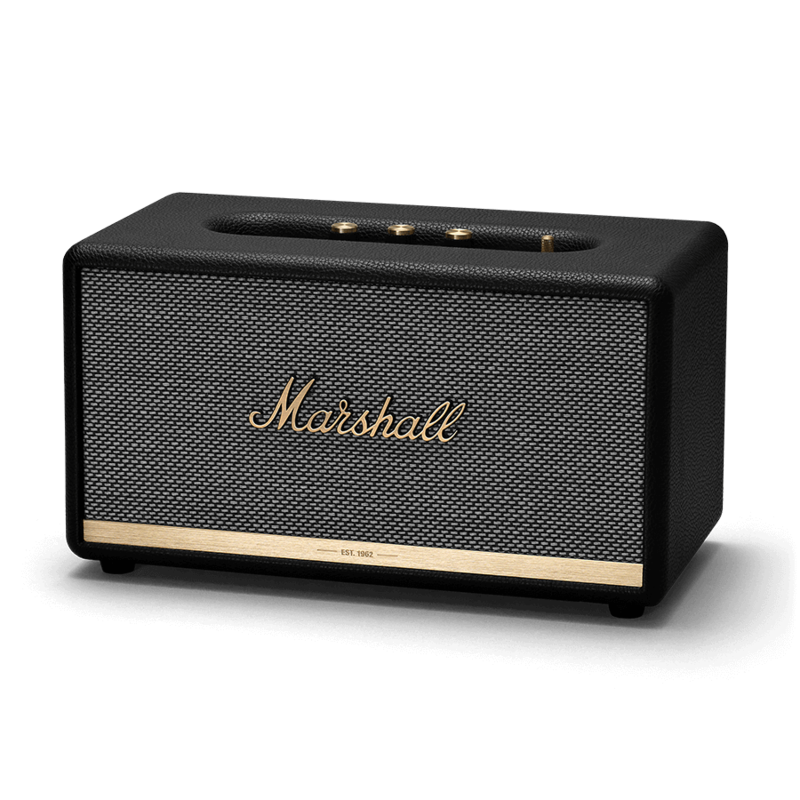 Marshall Bluetooth app or the analogue controls on your speaker’s top panel. 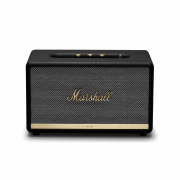 Marshall Stanmore II Bluetooth Stereo Speaker- Black is a compact active stereo speaker that yields clean and crisp sound even at the highest levels. 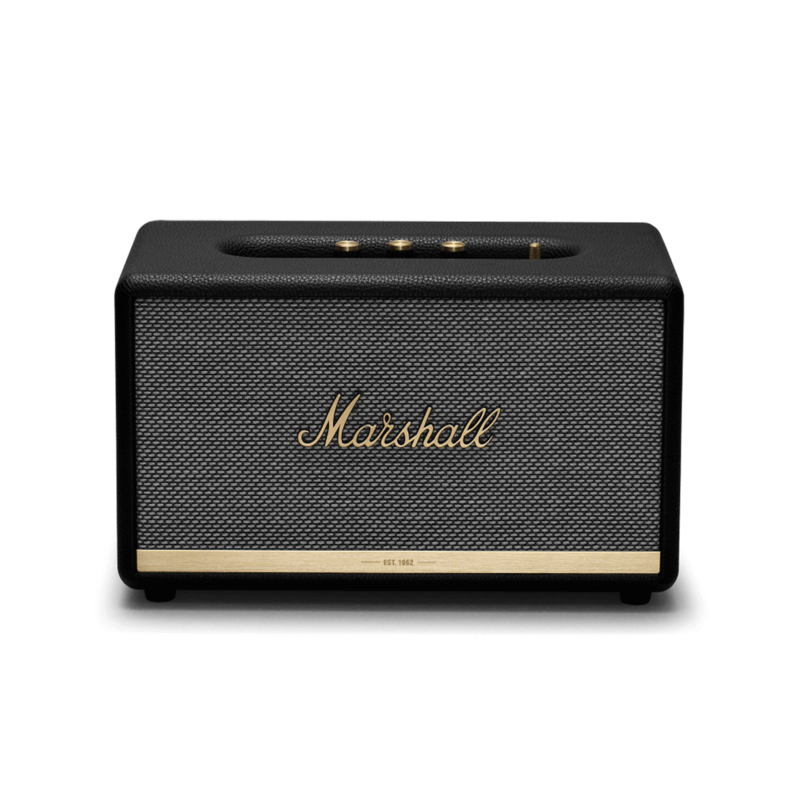 The Marshall Stanmore II Bluetooth Stereo Speaker poses such wonderful sound due to advanced components such as two 15 watt class D amplifiers powering its tweeters and a 50 watt class D amplifier to drive its mighty subwoofer. With Bluetooth 5.0 and Qualcomm® aptX™ technology you can play your music in glorious, stereo sound with no wires required. The Marshall Stanmore II Bluetooth Stereo Speaker- Black is the most versatile speaker in the Marshall line-up due to its classic yet modern design and and sizing making it the perfect fit for any room in your home. The Marshall Stanmore II Bluetooth Stereo Speaker is also perfect for wirelessly connecting to Bluetooth and aptx technology. 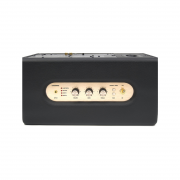 The speaker provides lossless wireless sound at a range of up to 30 feet (10 meters). The Multi-Host Function also allows for you to switch between two Bluetooth devices allowing friends and family to connect their device as well. You can also use the app to switch between EQ presets and standby mode.